Google Claims Pixel to be the Android with iOS Security, Here is why? Pixel, Phone by Google. It was launched in October 2016. It has many cool features like first phone with Google Assistant, unlimited storage for photos and videos and the highest rated camera ever. It is the first Android smartphone which comes with Android Nougat 7.0. As it comes with Android Nougat 7.0, it has many new security features as well. Earlier Android was not secure operating system but now Google has said that this phone is more secure than Apple iOS. The Search Engine giant published on its official blog that Pixel and Pixel XL are most secured Android smartphones ever. Google invested in and improved many features which make these smartphones more faster and stronger than other devices. Google is betting big on encryption of data, any hacker or snooper can’t access the data on the phone without the owner permission, this makes these phones more smarter than iOS and Blackberry. There is also the introduction of TrustZone, a novelty that ensures that the system code can be run safely even if the Android kernel has been infected. Modern processors provide a means to execute code in a mode that remains secure even if the kernel is compromised. On ARM-based processors this mode is known as TrustZone. It enables a waiting period between guesses at the user credential, which gets longer after a sequence of wrong guesses. This improves security for all users, especially those who have a shorter and more easily guessed pattern, PIN, or password. Recommended: A Dangerous Kotlin Based Android Malware has been Discovered Infecting Android Devices. Also Read: The Ultimate Guide on Creating Un-Hackable Password. From the very first day pixel is being compared with iPhone and this new security features prove that Pixel has an edge over iPhone being more secure and strong when it comes to Data Privacy. No doubt Google is doing more with Android. Pixel is trying to shake the market share of iPhone and this security features can play a big role in leading the market share. Keep visiting CuriousPost for articles like this. Suggested Read: Make Your Android Look Like Windows, Experience the Beauty of Windows with Power Of Android. Fell in love with the Best Android Phone ever made? Buy it from here. Hurry Up Grab The Pixel Now! Tell Us your opinions about Google Pixel in the comments below. Also Like Us on our Facebook page to know more. Next story Here is the Official Release Date Of Ubuntu 17.04 ‘Zesty Zapus’. 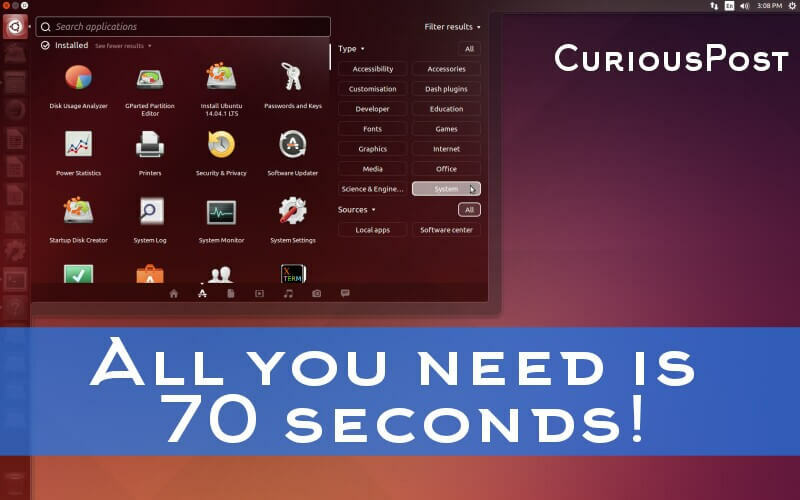 Previous story Holding Enter for 70 Seconds Will Let You Take Down a Linux System, Here Is How to Fix It. Say hello to Mycroft: Intelligent robot for home.